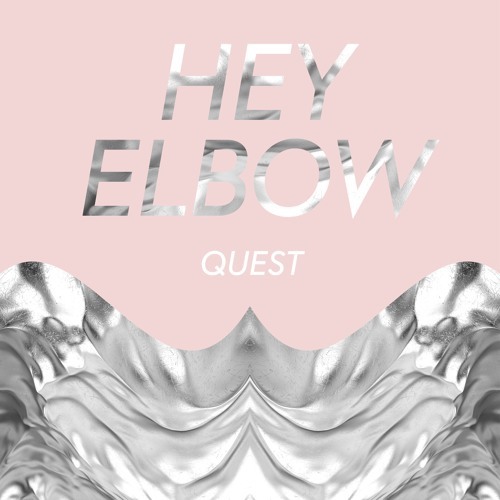 Artist: Hey Elbow Title: Quest Album: C0C0C0 Release date: 2018-03-16 Label: Adrian Recordings Publishing: Adrian Recordings Writer: Julia Ringdahl The awarded and established exciting Hey Elbow are finally back with new material. After extensive touring in all the world following the release of their debut album, they are ready to release new material and hit the road again. The band will premiere their new tracks on a special curated show at the Iceland Airwaves Festival in November. This is the first single from an upcoming second album. Hey Elbow consists of Julia Ringdahl (vocals/guitar), Ellen Petersson (horns/electronics), and Liam Amner (drums). With a background in jazz and an ear for distortion they create eccentric pop music with a big sound. Hey Elbow took its name from an aerobics warm-up exercise they were taught while standing in the audience waiting for a show by The Knife. With their foundations in jazz and musical education, combined with an interest in noise, improvisation and freedom, they make oddly haunting pop music with a unique and personal expression. Nice production, but also great vocals man.